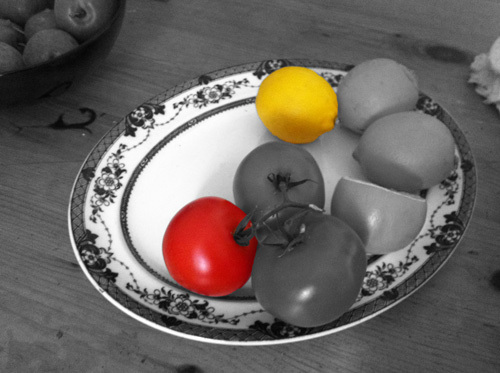 Color splash is a technique to emphasize details- you remove all color from a photo, and then restore original color to a single object, e.g. a green apple on a table. Think of the Girl in the red dress from Schindler’s List. After watching Video Tutorial: Splash the Color : neverthesameriver I had another wee play with photoshop. A little of which is beginning to make sense.